Sometimes you think you just cannot learn more. When you think this you will always be wrong. 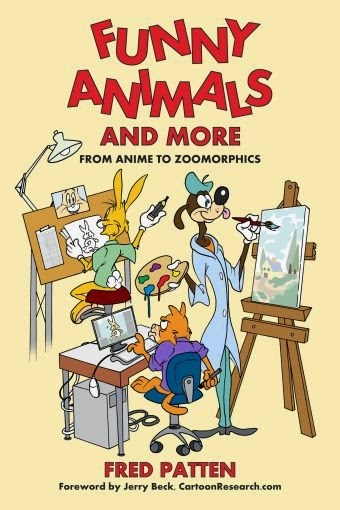 Funny Animals and More: From Anime to Zoomorphics is an animation book that has opened my mind to a whole new type of animation. And as I talked about this book with others I was amazed to discover how many people enjoy this new to me style. Funny Animals and More: From Anime to Zoomorphics collects the writings of anime, manga and animation expert Fred Patten. The book presents a number of essays adapted from Patten’s writings at CartoonResearch.com. The book opens with a discussion of history of Japanese anime fandom in the United States. 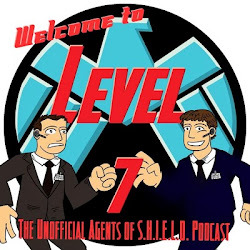 This is followed by a detailed discussion of several varieties of Japanese anime offerings including summaries of key programs general content. After the detailed discussion of anime, Patten touches on a number of other animation topics including Walt Disney and racism, the Indian animation industry, the use of Olympic mascots, and anecdotes from Patten’s life. The text is based on Patten’s blog posts. Most of the time one cannot tell that much of the content was presented online in an earlier form. There are times where mentions of YouTube videos are made where one can assume the original video was included in the post or at least linked. But this is rarely distracting. And it shows the advantage of online publishing so readers can immediately access the video references. The text is mostly clear (I will explain in a moment) and easily accessible to the reader. Much of the content within this text is completely new to me. And it has a vocabulary that is clearly second hand to Patten and other anime fans. I did have to reread a few paragraphs and google a term or two, such as OAV (Original Animation Video). This did mean that there were pages that my eye did not skip quickly over as I was challenged to better understand the content and a whole new world of animation that I did not know. And that is where the book really benefits the Disney fan. It serves as an introduction for many Disney fans to a new type of animation, and do we not generally claim some expertise in this area. Patten widens your mind. I had heard of Sailor Moon, but until now I had no idea what the story was. For me it was the introduction to other anime titles that I found really interesting. The idea of a space train in Ginga Teusudo Three-Nine (Galaxy Express 999) sounded really interesting to me, and made we wish that it was something I had stumbled on earlier. And Patten gave me a better understanding to Super-Sentai genre which allowed me to have a real conversation on this subject with a friend for the first time. What has amazed me the most, since I talk to others about the books I read, is the number of anime fans that exist in my life. This is not primarily a Disney book but a specialized animation history focusing on anime. But there are still at least three references to Disney topics in the book. One essay includes a discussion of Walt Disney and charges of racism against him. And there is a review of the history of development of a Reynard the Fox feature where the Disney the company is heavily featured. And the Reynard essay did leave me asking the question wondering when we will see a Disney version of this animal story. Funny Animals and More: From Anime to Zoomorphics by Fred Patten has opened a whole new world to me. As a comic fan, animation fan and Disney fan I thought I understood the full landscape of animation. Now after Mr. Patten has introduced me to one aspect that I was blind to, I wonder what else is still out there for me to discover.